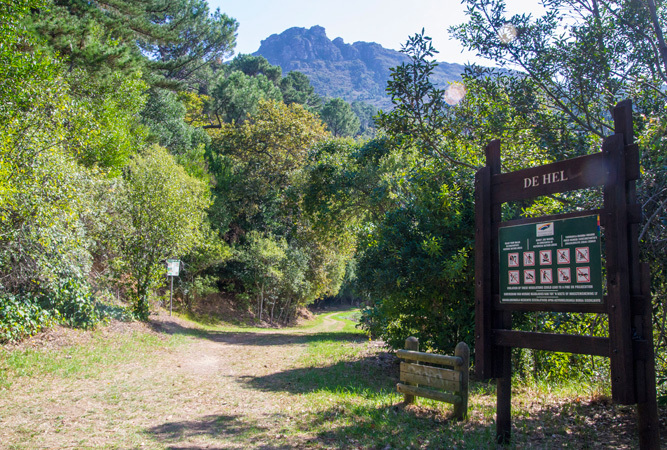 Heading indland to the Southern Suburbs, an ever popular favourite with Capetonian moms regarding things to Do with Kids in Southern Suburbs is Kirstenbosch Botanical Gardens (#48), in the Newlands / Claremont area. All the moms we asked for help with this “list” had Kirstenbosch in their top 10 and agreed that it’s a wonderful place for kids. There are plenty of spots ideal for family picnics and lots of exploring for little ones to do. CityRock (#49) is Cape Town’s centre for all things related to Rock Climbing. Their facility feature a large top rope and lead climbing area with Introductory lessons taught numerous times every week. They also offer a large bouldering cave. Children aged 5 and above love the fun and excitement of climbing. The sport of indoor climbing also makes for a great social event for kids and adults alike. CityRock is centrally located in Observatory on the corner of Collingwood & Anson. Contact them on 021-447 1326. 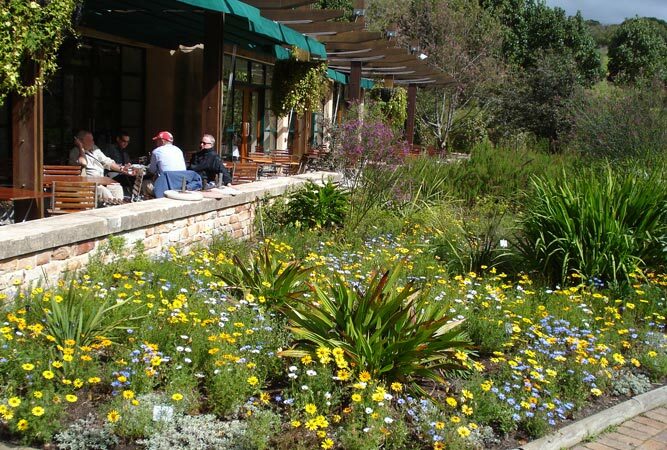 In Claremont, the Liesbeek River Park (#50) is great with kids – entertain the kids with a spontaneous picnic lunch. 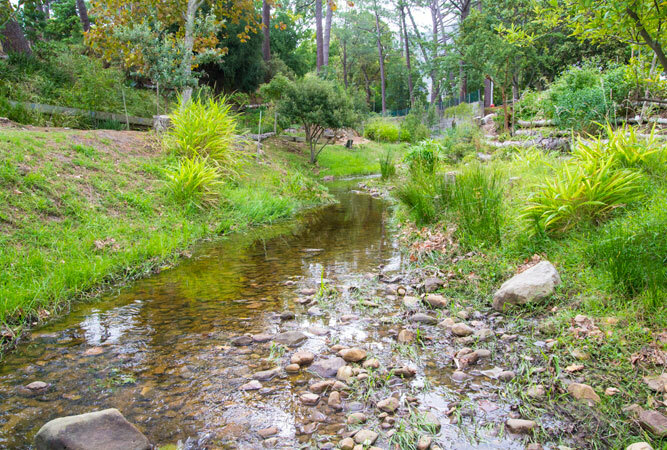 Situated on the banks of the Liesbeek, the river is deep enough for children and dogs to have a paddle! For bigger kids, Action Sports (#51) at Stadium on Main in Claremont offers action cricket, action netball and action soccer for all ages and fitness levels. Might be fun for the bigger kids to get a group together to spend a few hours here. Also at Stadium on Main is a Ten Pin Bowling Alley. Besides bowling, the Lets Go Bowling (#52) centre also offer video games, pool table, lounges to create an all round entertainment experience. More in the action games type genre, Laserquest (#53) is the world’s most popular and exciting brand of Laser tag game. “Whether you’re 7 or 77 you’ll love the adrenaline-pumping exhilaration of stalking your opponents and unleashing a volley of laser fire in the battlezone of the 21st century“. And whilst you and the bigger kids (7 and up) play Laserquest, take the little one to Jimmy Jungles (#54), an Indoor Adventure Playground that offers supervised, secure facilities for toddlers and children from 6 months up to a maximum height of 1.4m. They provide a safe and clean environment where children can learn and have fun at the same time. End off the day with a walk through Arderne Gardens (#55) which is open throughout the day. If you’ve tree-climbing children, then this is a veritable paradise and there are benches for Moms to rest. There’s a Japanese garden with curved bridges over the water which also provides a great adventure for children. (Entrance to the gardens is free). For up and coming young rugby players, a visit the South African Rugby Museum (#56) in Newlands is a great way to inspire them to greatness. (This has moved to the V&A Waterfront and can be seen here: Springbok Experience Rugby Museum). The museum is located in Portswood House, V&A Waterfront. The SA rugby museum is crammed full of activities, exhibitions and insights into the world of rugby. The museum features rotating exhibitions and special attractions, which will fascinate both kids and adults, whether they be players or supporters. In Rondebosch, the Rondebosch Common (#57) has logs to climb on or over, puddles to jump in, grass to hide in and if there is wind, it’s a great place for flying a kite and Rhodes Memorial (#58) offers a few hours of diversion for kids and end your visit with some tea and scones from the Rhodes Memorial restaurant and maybe a milkshake for the kids. The Baxter Theatre (#59) usually offer some form of theatre suitable for kids during the school holidays so check the press for details. An outing to a theatre can be a great treat. Splash Swimming (#61) in Wynberg, offers fun holiday activities for kids of various ages called “Wet Weeks” and “Beach holiday clubs” as well as a “Holiday safety and stroke clinic” designed to improve your childrens swimming abilities. In the fun courses, fairly competent swimmers aged from about 8 to 13 years have a fantastic time putting their swimming skills to use in a completely different and totally fun way. The programme incorporates every water-related sport and activity you can imagine, including boat rowing, board paddling, snorkeling, obstacle courses, treasure hunts, water-polo, life saving, and much more. For more info on the courses they offer see Splash Swimming Holiday Courses. Besides the holiday courses, throughout the year they offer their “Splash! Learn-to-Swim Programme”, for children aged from about 3 to 12 years. There is a strong emphasis on fun and developing a love and respect for the water in all their swimmers. 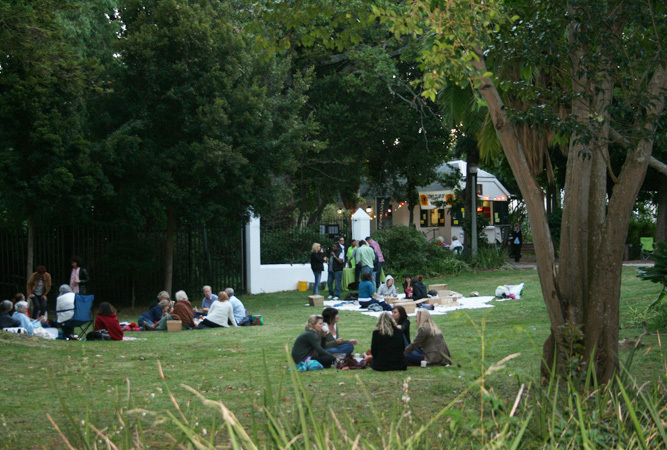 Also in Wynberg, a visit to the Maynardville Park (#62) is a nice outing. 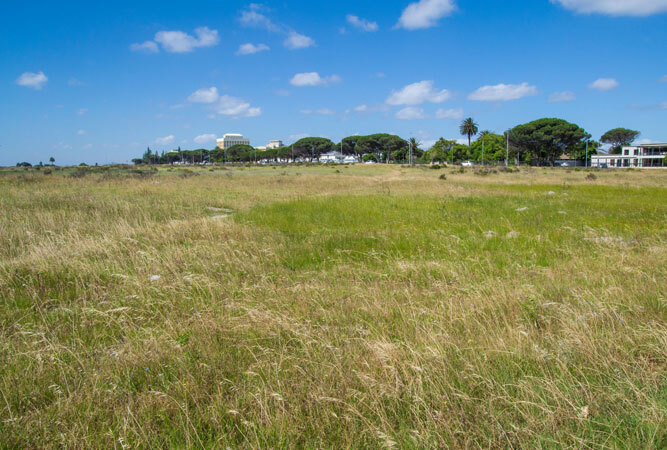 According to our Cape Town Editor, “the reason the park is receiving added attention by my friends with children is that it is in the process of undergoing an R805 000 upgrade, which began in February this year, and includes a new timber play area as well as refurbished equipment from the old playground. The new playground is just the beginning …”. 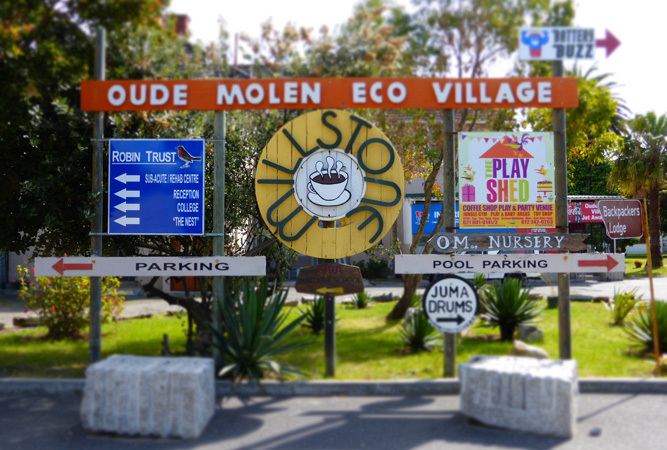 Millstone Cafe at Oude Molen Eco Village (#63) in Pinelands is great with kids. These is an outdoor jungle gym and wendy house, horses and chickens to look at and pony rides are available at R10 for about 5 minutes. For the younger kids, there’s also the possibility of a wagon ride around the eco-village. In Tokai in the Constantia Valley, Bizzy Bodies (#64) offers active playtime for children aged from one to 12 years in its large indoor play gym. The area is geared around getting the kids to run, climb, swing and slide on soft, padded obstacles – and the coffee corner gives parents a chance to watch their kids at play whilst having a well earned rest of a cuppa. The Barnyard (#65) is a country-style restaurant that is a constantly buzzing venue where your children can play in a huge, shady sandpit, sway on swings and jungle gyms, or feed any number of farm animals kept in pens on the periphery of the venue. Other attractions include animal petting, pony rides. 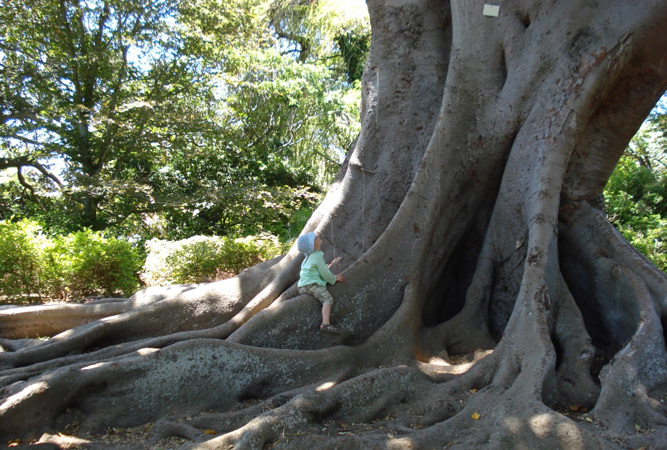 On a Saturday morning there’s a secret little world of fantasy and fairy tale, which unfolds in Constantia. If you haven’t treated your children to a visit to the Rainbow Puppet Theatre (#66) at the Michael Oak Waldorf school, then you are missing out! The Puppet Theatre shows run every Saturday morning at 10h00 and 11h15. (Tea, coffee and eats available before and after the show).